CabMD® has many features, just take a look! Features are something we look forward to bringing to our users. If you have any feature suggestions, let us know and we'll try and get them into CabMD®. 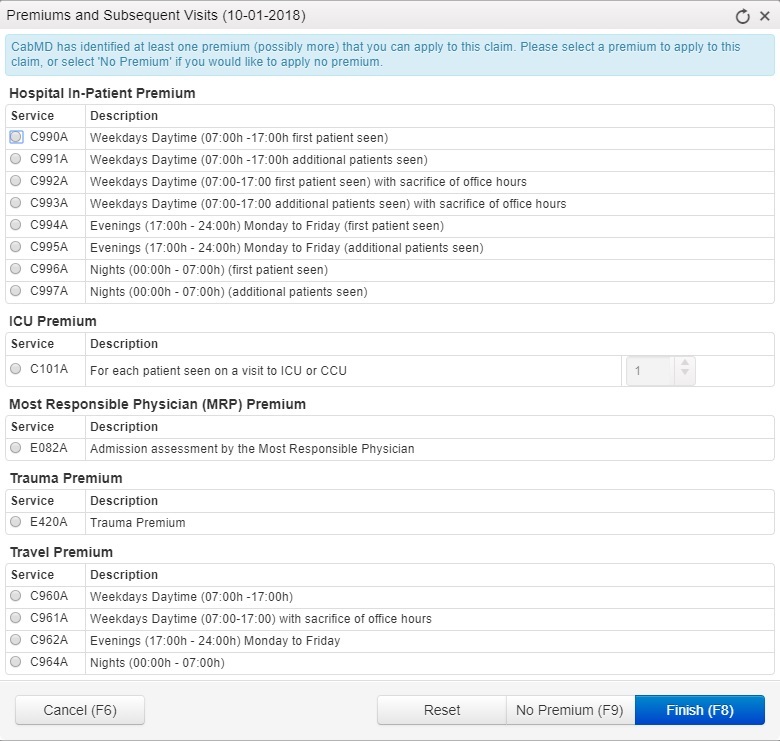 Our system has been built to specifically look much nicer than other OHIP billing systems. It is minimalist in its approach, and is much more intuitive and user friendly. Physicians and administrative staff who have not had any previous billing or claim submission experience appreciate the simplicity of the user interface and also its ease of use. No instruction manuals necessary! Our system was designed using the latest technology, making sure we leverage all the latest tools to give users the best experience possible. Because CabMD® is Internet-based, all you will need is a computer with Internet access, and a browser. 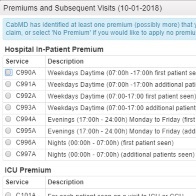 Once your claims have been entered into our system, CabMD® takes care of the rest - automatically processing your claims with the Ministry of Health. Remember when you had to use diskettes and modems? Not anymore ..
CabMD® utilizes knowledge management/expert systems that enable physician to maximize their billable earnings. Our system identifies billing opportunities and provides you with a personalized a la carte claim selection menu from which you may choose. This functionality results in a substantial increase in the billable earnings as well as a decrease in the number of rejected claims. CabMD® is completely Internet-based, so support is just an email (or phone call if you're the sentimental type) away. There's no waiting for support staff to stop by your home or office to resolve hardware/software issues, and there's no need to install software updates. CabMD® support can be provided remotely, at no cost to you, and the system is updated automatically - so you can be sure that you are always up to date, no matter where you happen to login. Our system makes the claim submission process painless (I know, hard to believe). CabMD® keeps track of each and every claim from start to finish, so that you don't have to. CabMD® prevents you from making costly mistakes, but when you do - it automatically figures out what you did wrong and highlights your errors for you. This means that you will spend less time performing data entry, and tracking down and correcting rejected claims. Our servers are protected by enterprise-level firewalls (like the kind banks use), and your connection to the application is over Secured-Socket-Layer (SSL) - so you can be sure that no-one will ever take a peek at your personal information. We also encrypt our database too, talk about secure data! CabMD®'s automated system takes all the hard work out of the equation by handling the connectivity for our users. As the Ministry of Health has just changed their system of submitting EDT to the new Medical Claims EDT (MC EDT), our users have had a nice smooth transition, while many current programs will have a hard time adopting a completely new type of connection. CabMD® will have zero problem changing this for our users, and they don't have to do anything at all! Our users won't even notice the change, and that's a huge advantage over our competition.